Seventy-three years ago the world changed. 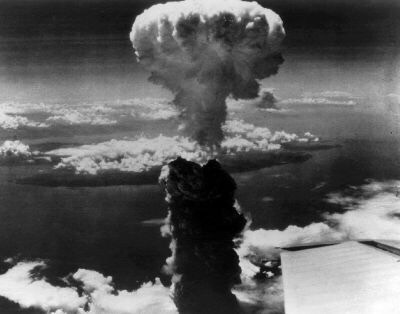 A remarkably destructive weapon was introduced in combat, a single bomb that annihilated the city of Hiroshima Japan. The effects were immediate, 70,000 to 80,000 people were killed, tens of thousands of others wounded, many of whom would suffer from the effects of radiation and radiation burns the rest of their lives. 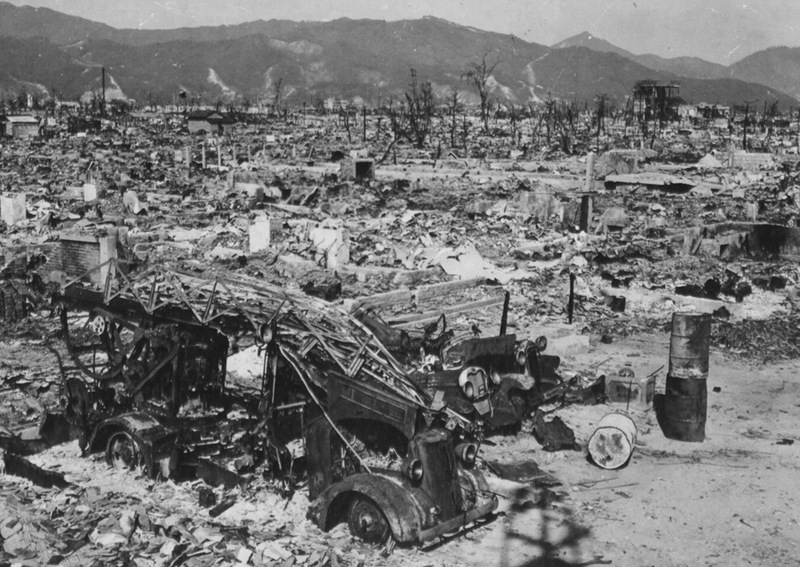 Within days a second bomb was dropped on Nagasaki with similar results, and Japan sued for peace. The Second World War was over and a new world was born, a world under the shadow of nuclear weapons. The anniversary of that event today is something that all of us should ponder with great trepidation as the world seems to lurch towards a day when such a weapon will be used again. The question should not be one of mere military or tactical expediency, but must consider the moral dimension of the use of these weapons as well as the whole concept of total war. Up until April of last year I spend the last three and a half years teaching the ethics of war to senior military officers at a major U.S. Military Staff College. One of the things that we do in the class is to have the officers do presentations on different historical, or potential ethical problems faced by national policy makers, military commanders and planners. The goal is to have these men and women dig deep and examine the issues, and think about the implications of what they will do when they go back out to serve as commanders, staff officers, advisors to civilian leaders and planners. I am no stranger to what these weapons, as well as chemical and biological weapons can do. Thirty years ago when I was a young Army Medical Service Corps lieutenant I was trained as a Nuclear, Chemical and Biological Defense Officer. I learned the physical effects of exposure to these weapons, how many Rads of radiation a person could receive before they became sick and died. I learned what radiation exposure does to people at each stage. We trained with maps to chart fallout patterns, and the maps had the cities and towns that we lived in, this was Cold War Germany and yes both NATO and the Warsaw Pact expected that tactical nuclear weapons and chemical weapons would be used and we had to be able to operate in contaminated environments. We operated under the idea of Mutual Assured Destruction or MAD as a deterrent to war. It was chilling and made me realize that the use of these weapons today would be suicidal. When Chernobyl melted down we were in the fallout zone and were given instructions on what we could and could not do in order to minimize any possible exposure to radiation poisoning. So when it comes to the first use of the Atomic bomb I am quite reflective. As a historian, military officer, chaplain and priest who has been trained on what these weapons can do I have a fairly unique perspective. Honestly, as a historian I can understand the reasons that President Truman ordered its use, and I can understand the objections of some of the bomb’s designers on why it should not be used. I’ve done the math and the estimates of casualties had there been an invasion of the Japanese home islands is in the millions, most of which would have been Japanese civilians. “However small the chance might be that our petition may influence the course of events, I personally feel that it would be a matter of importance if a large number of scientists who have worked in this field want clearly and unmistakably on record as to their opposition on moral grounds to the use of these bombs in the present phase of the war. “If after the war a situation is allowed to develop in the world which permits rival powers to be in uncontrolled possession of these new means of destruction, the cities of the United States as well as the cities of other nations will be continuous danger of sudden annihilation. All the resources of the United States, moral and material, may have to be mobilized to prevent the advent of such a world situation. Its prevention is at present the solemn responsibility of the United States–singled out by virtue of her lead in the field of atomic power. The added material strength which this lead gives to the United States brings with it the obligation of restraint and if we were to violate this obligation our moral position would be weakened in the eyes of the world and in our own eyes. It would then be more difficult for us to live up to our responsibility of bringing the unloosened forces of destruction under control. I think that those who debate the history of this need to look at the entire picture and read the letters, the documents and take into account everything. My hope is that leaders, policy makers, legislators and we the people continue to work to eliminate nuclear weapons. It is true that the nuclear stockpiles of the United States and Russia are significantly smaller than when the Cold War ended, but even so what remain are more than enough to extinguish human life on the planet. Add to these the Chinese, French, British, Indian, Pakistani and the hundreds of undeclared weapons of Israel the fact is that there remains the possibility that they could be used. Likewise there are nuclear programs in other nations, especially North Korea, which given enough time or believing them necessary could produce weapons. But the North Koreans are not alone, they could easily be joined by others including Iran and Saudi Arabia. Add to this the possibility of a terrorist group producing or acquiring a weapon the world is still a very dangerous place. The ghost is out of the bottle, and nothing can ever get it back in. We can only hope and pray that reasonable people prevent any of these weapons from ever being used and that war itself would end. Some historians believe Japan’s surrender had nothing to do with the atom bombs. I agree with them. Teller’s argument makes sense. The use of the bombs may have prevented a nuclear war. I don’t know what was going on in Truman’s mind when he made the decision. I doubt that he ever disclosed all his thoughts or even if he could have if he tried. Steve, have you ever read Hiroshima Nahasaki by Paul Ham? I found the book to be very interesting in the perspective it provided between the two viewpoints of bombing/not bombing. At Naval College, we read the accounts of Australian POWs and their treatment but even those stories could not convince me that the bombings were justified, particularly after I read Ham’s book and the doubts he raises regarding potential casualties from an invasion. Either way, a very sad event, like all events in wartime. I have not read Ham’s book, I have read a number of others that dealt with it including Teller’s memoirs. I remember when I was younger trying to justify the bombing but having terrible misgivings about my arguments. Now I cannot believe that I could defend it. But wisdom is wasted on old, you can only give it away.